Cinco deÂ Mayo is approaching fast. Â This fun holiday celebrates the Mexican army’s defeat of the French army back in the 1860s, but now it is the perfect day to celebrate Mexican culture and food. 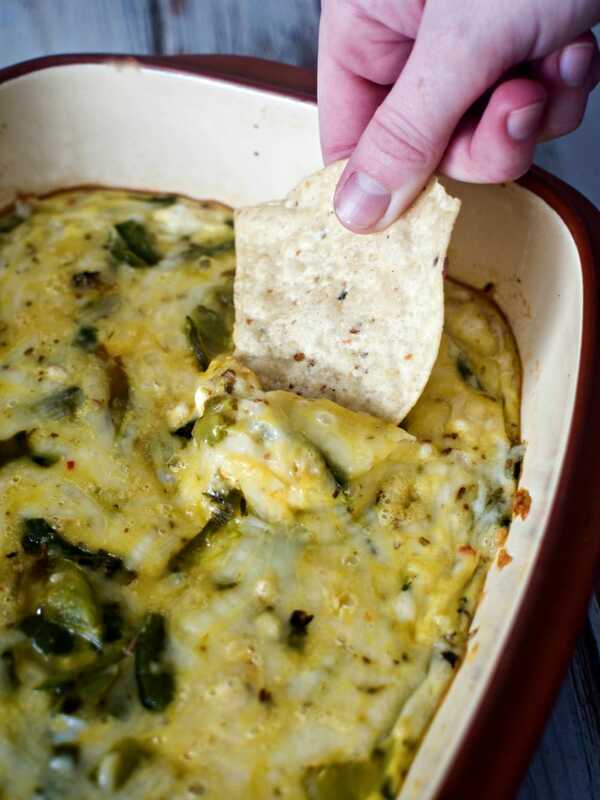 Â So here is a collection of 18 delicious recipes that would enhance any Cinco deÂ Mayo event. 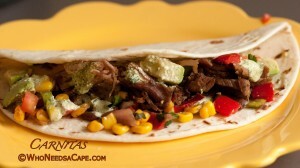 Â Whether you are planning a party or just serving tacos at home there is something here for every taste! 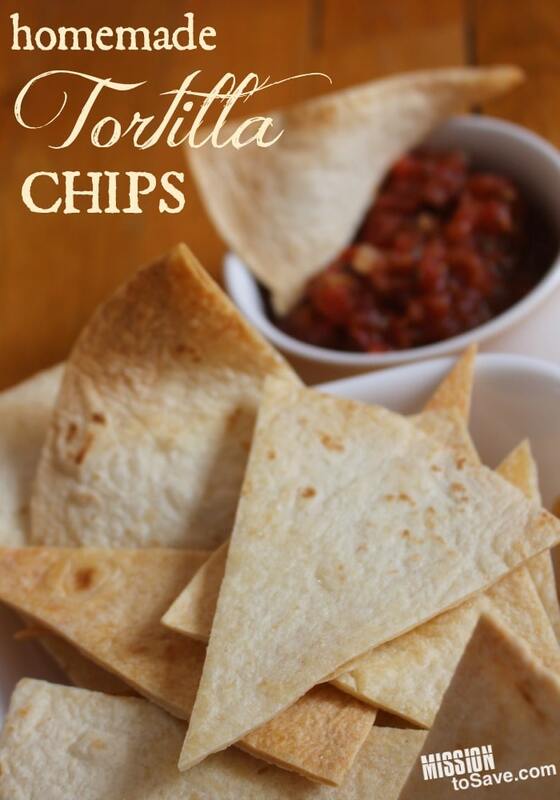 Tortilla chips are a must for Cinco de Mayo, so why not make your own chips using this recipe from Mission to Save. 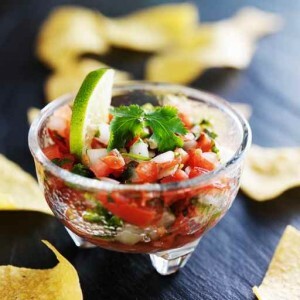 This Pico deÂ Gallo from Modern House Wife would go perfectly with the tortilla chips. 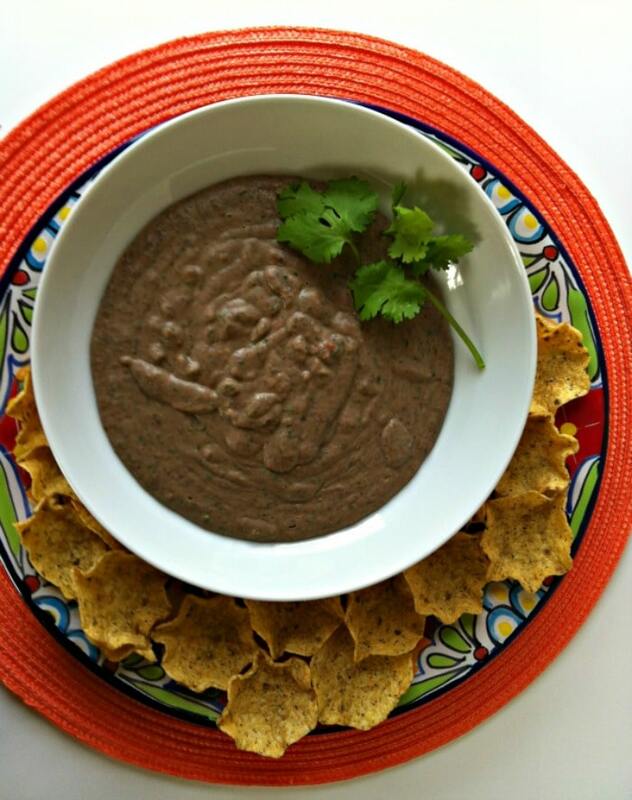 or this more traditional Smokey Black Bean Dip, also from A Cedar Spoon. 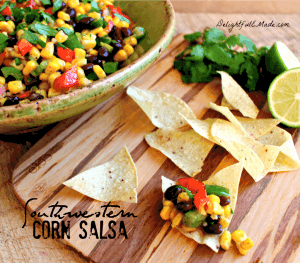 This Southwestern Corn Salsa from Delightfule Made is colorful and tasty. 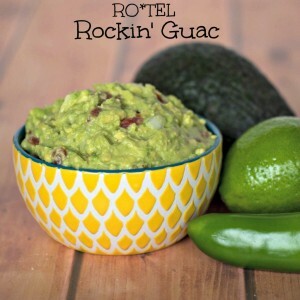 And no Cinco deÂ Mayo party would be complete without Guacamole! 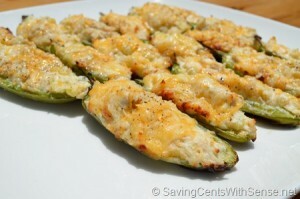 And so would these Stuffed Jalapeno Poppers from Saving Cents with Sense. 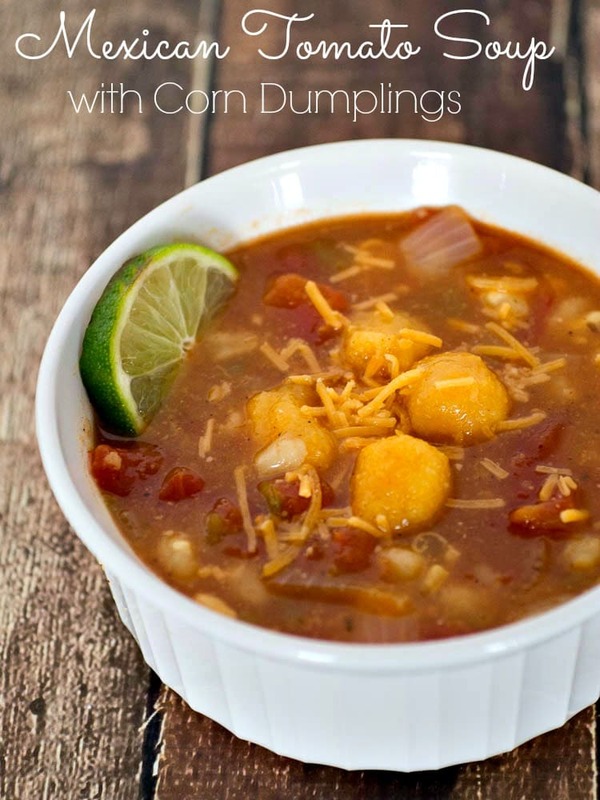 For something different you can make my Mexican Tomato Soup with Corn Dumplings. 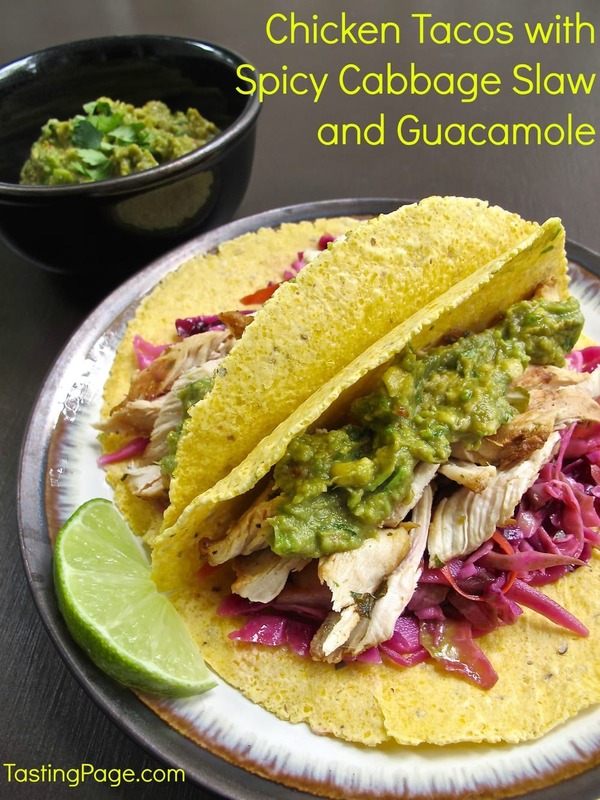 Chicken Tacos like these from Tasting Page make a delicious main course. 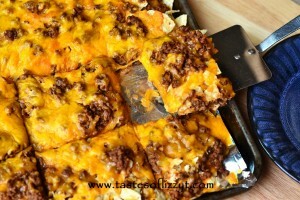 And if you prefer Beef Tacos check out my Shredded Taco Beef recipe. 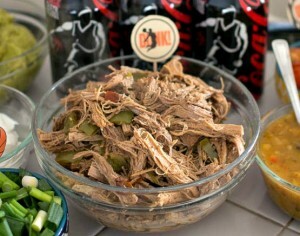 If pork is your favorite Taco meat this recipe from Who Needs A Cape for Carnitas is tasty. 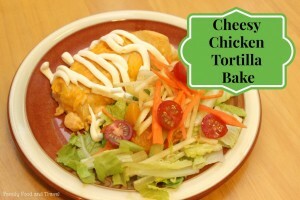 Casseroles are always good for parties, like this Cheesy Chicken Tortilla Bake from Frugal Mom Eh. Or this creative Tortilla Chip Mexican Pizza from Tastes of Lizzy T.
AndÂ Chile Rellenos Casserole is one of my personal favorites. 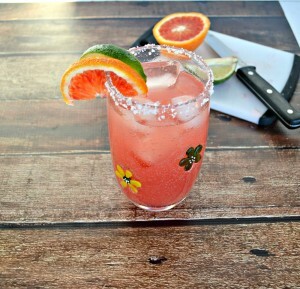 Margaritas are another tradition, and these Blood Orange Margaritas from HezziD’s Books and Cooks look delicious. And so does this Mango Coconut Margarita from Snappy Gourmet. 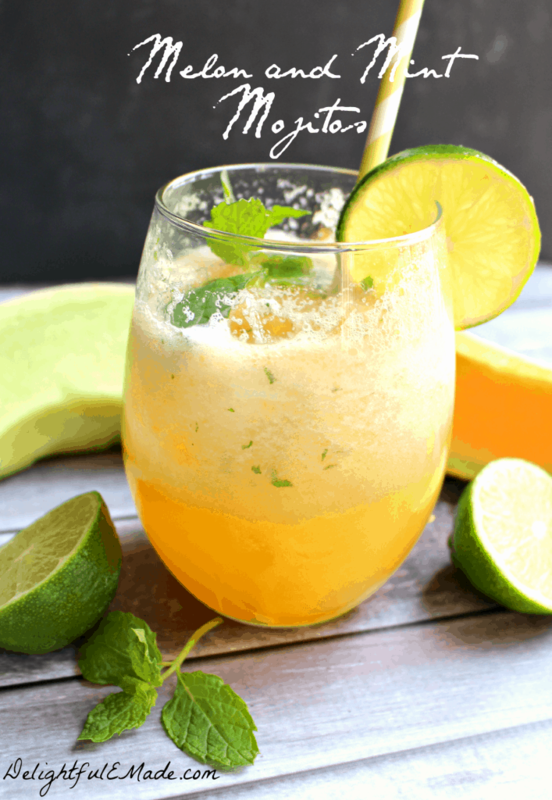 But if you prefer Mojitos to Margaritas try out this Melon Mint Mojito from Delightfule Made. How are you celebrating Cinco deÂ Mayo this year? Yay, these recipes look awesome! I need to plan out my celebrations and this is a great place to start. I love Mexican food… so much! And, it’s one cuisine my family agrees on too as an added bonus! WOW – so many amazing recipes! I’ve always wanted to make my own guac but never thought to make chips. Probably super yummy! 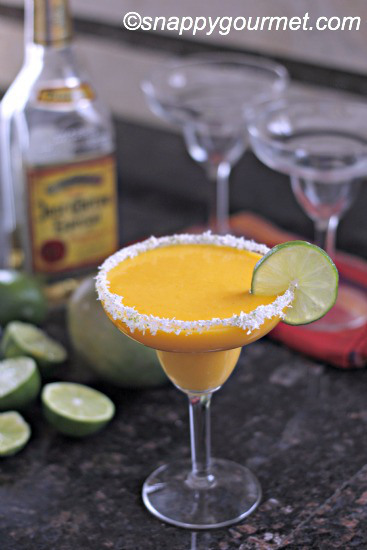 And that mango margarita….yes please! 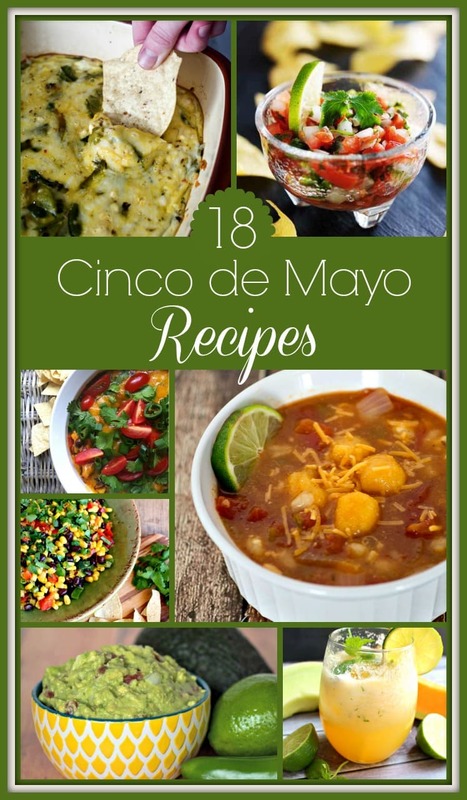 Your list of tasty Mexican dishes would make for an amazing Cinco de Mayo menu! I’ll definitely be trying those Bacon Wrapped Jalapenos and the guac recipe too! Mexican food is my favorite!! What a great collection of recipes!! I would love if you stopped by my place and shared your stuff on My 2 Favorite Things on Thursday Link Party. I’d love to have you!! 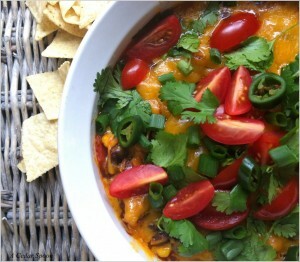 I love mexican food and this is a great round up. Stopping by from What’s on the List. Those all look so good! I absolutely love pico de gallo and the bacon wrapped jalapenos look delicious! I’ll have to try these recipes! fantastic round up for the Cinco de Mayo holiday. Giving it some SM love. It’s too early in the season, but as soon as we have fresh jalapeÃ±os from the garden I’m making those bacon wrapped jalapeÃ±os. YUM. Thanks for including my Homemade Tortillas!